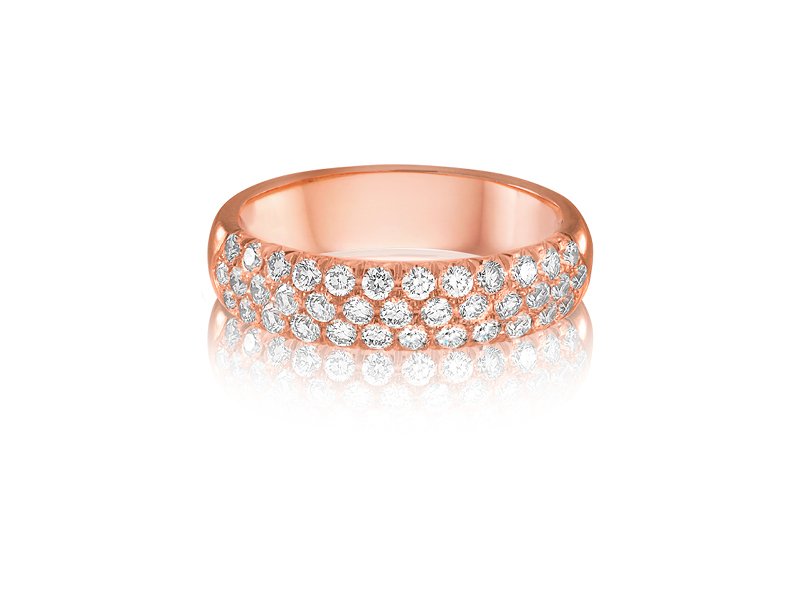 Kaspar & Esh offers pave diamond rings with one, two and three rows in white, yellow and pink 18K gold, G-H color, and VS2 diamonds calibrated to the hundredth of a millimeter. 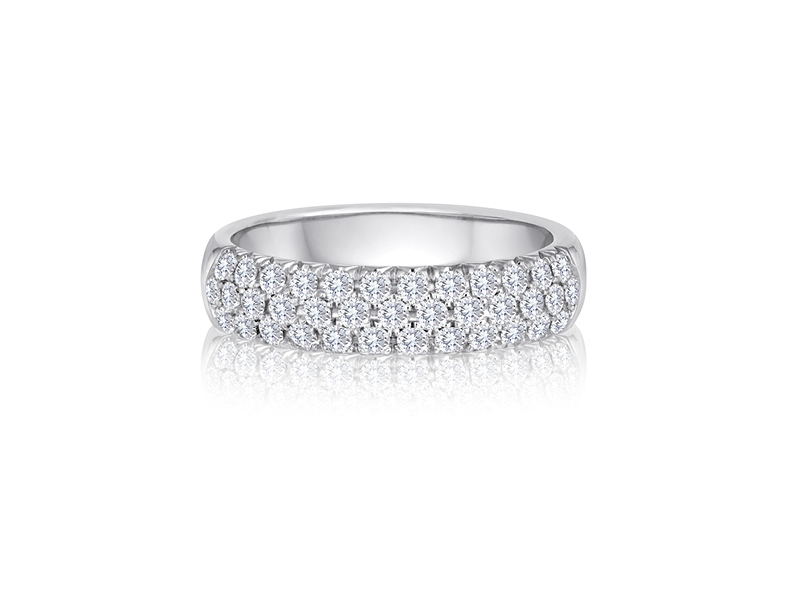 Each ring is made by hand by our master craftsmen with genuine pave settings yielding superior wearabilty and security for your diamonds. 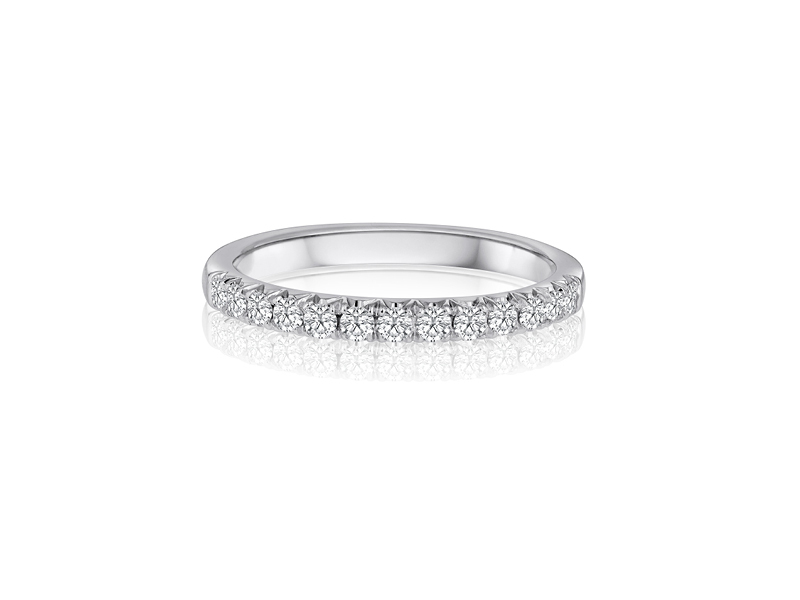 For an anniversary gift that will last as long as the marriage it celebrates all Kaspar & Esh diamond pave rings are guaranteed against stone loss. We will repair or replace any diamonds lost due to normal wear and tear for five years from the date of purchase at no charge.